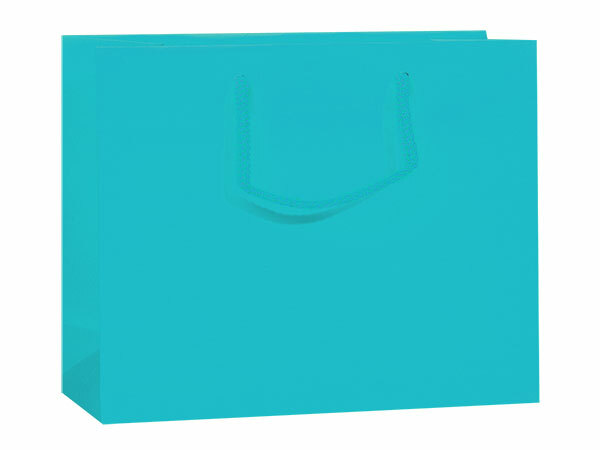 Medium size matte Turquoise Deluxe Laminated Gift Bags by the 10-Pack. Call our Custom Print Dept. to personalize these bags with your store name or logo at 1-800-547-9727 ext. 4.